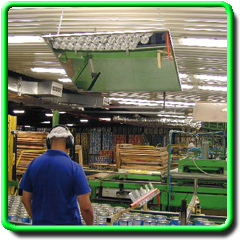 The Assembly Line Safety Mirror is ideal for the overhead observation of operations and machinery which require careful and regular inspection without any safety risk to staff or contamination of containers. This flat acrylic mirror is laminated to an mdf board for strength and distortion free reflection. 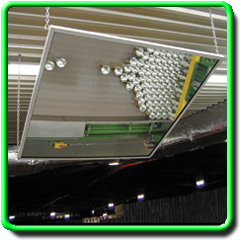 The 9mm mounting holes allow for easy suspension or mounting directly to ceilings or walls to provide optimal viewing. Prices Include Freight and GST.